WoW, April seemed to fly by so quickly and here, we open the page to a new chapter in our story, the chapter titled: May. This is the month where I like to review and evaluate how I'm doing on the parenting/mothering spectrum. In what area's can I improve upon? In thinking about these things and going back to the books that encourage me, I wanted to do a post and share with you some of my favorite mothering websites. These are the sites that continue to encourage, inspire and convict me on this journey of motherhood. If you have a few minutes, I highly recommend you spend some time reading these three sites. FIMBY : Where do I even begin with this one? I love this girl! She has inspired me and not even known it because for a long time I was one of "those people," the lurker who never comments. She is unaware that because of her, we began making our own soap and even threw away our shampoo. 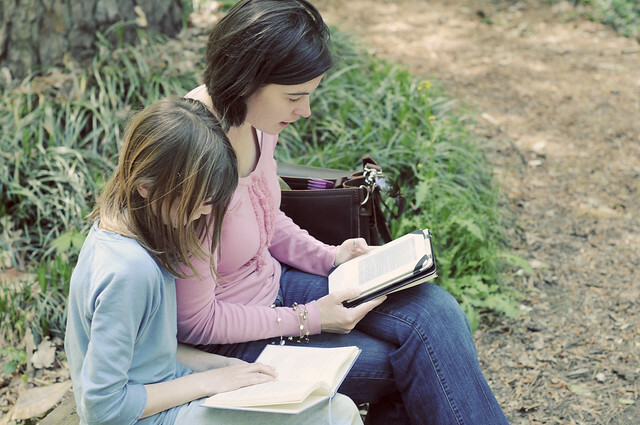 This site has it all, the inspirational mothering tips, encouragment for homeschooling families and inspiration to get outside more. Read this site, be warned though, fimby is addicting. Joyful Mothering : I could simply leave you with the title. Joyful Mothering. Christin is such an inspiring example of what learning to mother with joy looks like. Her about page is what hooked me onto her site, she writes that, "Joyful Mothering is a place to scribble out how I stregnthen faith, nurture family, and lead a life filled with joy," all of which permeates through her words. Do you have a favorite mothering/parenting site? These websites are great! Thanks for sharing. Maybe I'll make these my own favorite ones! Wonderful suggestions! I don't know the second one, so I'll have to check it out. Heather. What a kind, kind endorsement for FIMBY. Feels like a nice pat on the back. Thank you SO much. You're right I didn't know that you were inspired to make your own soap. I had no idea you were lurking so long. You should have said hi sooner so I we could meet earlier. Oh well, I'm here now and find your posts inspiring also. The internet is lovely that way. Mutual encouragement and inspiration. Thanks again Hon. This was a very sweet way to start my day. Heather, thank you so much for your kind words & encouragement. You have been such a blessing to me in just the few short weeks we've conversed on Twitter! I am really looking forward to doing Good Morning Girls with you and deepening our connection. Then I get to meet you at Relevant. Bliss!! :) *Hugs*my friend! Oh FIMBY, your sweet mothering heart still shines through in these recent posts. I have no doubt that others will fall in love with your words as I have! Then I get to meet you at Relevant. Bliss!! CANT WAIT!!! Thanks for sharing... I'll check these out! I love that photo of you and your daughter! Precious! And I didn't know Sally Clarkson had a blog. Thanks for sharing! You are so sweet Tina! When are we going to have another coffee date? ooo....can't wait to check out Fimby:) Thanks for sharing! Thanks so much for giving me this link...on my way to check it out right now! Hi Heather, I'm excited to check out these sites. And one that I'm partial to is Jillsavage.org - she's the founder of Hearts at Home Ministry. Thanks for resourcing us! So glad I found your blog. It's so warm and inspirational! I strive every day to just be a good mom. It's great to know there are resources like yours and families like yours too. Thanks for sharing this! I am thrilled to have found this site, love it! replicate. Angel of Death - To get this trophy you will need archangel armor. pick missions that give you engineers and build lots of workshops. we are looking to exchange solutions with others, be sure to shoot me an e-mail if interested. you to find the remedy that will work best for your particular situation. When running your own home business, it is important that you have your own office. It's really a nice and useful piece of information. I am satisfied that you shared this helpful info with us. before but after reading through some of the post I reapized it's new to me. is experiencing any symptoms of pregnancy and acquires a negative test result, its best to test again in around a week.